4 smoothies you can't miss this summer! 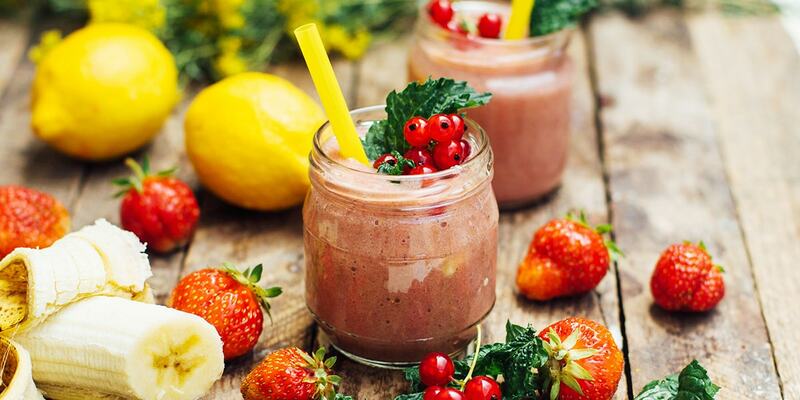 With the arrival of summer and good temperatures, cool your body with homemade smoothies, which are very healthy and very original! Summer is here and so are the new flavors. The days are longer, the sun is the main character of the plot and the temperatures are going up. So of course our bodies are asking for refreshing drinks. It can be mid-morning, watching the sun go down, during the weekend at night, after a long day of work, etc. Any occasion counts! It is very important to drink liquid to stay hydrated. You should make sure you’re drinking throughout the day; having a good level of hydration is key to feeling good, both inside and outside. You should always have water nearby, although for some occasions you can also try new formulas that are even more refreshing, interesting and original. For these occasions, we introduce you to the smoothies, the trendy 'healthy' drink. This tasty shake is made with a base of frozen fruit and milk, so it has a unique consistency and creaminess. Mediterranean: three cups of coconut milk, half a cup of frozen pineapple and a cup of frozen strawberries. You will have one of the summer smoothies par excellence. A classic that never fails. Exotic: get three cups of coconut milk, two cups of frozen orange, a cup of mango and a handful of spinach. With this exotic mix you will get a more than refreshing drink. Natural: combine tea with the fruit that you like the most. Try blueberries, strawberries and bananas! Caribbean: You can not miss this smoothie this summer. Combine coconut milk with watermelon and melon. Fresh and tasty. This doesn’t end here. If you want to go a step further ... Try personalizing your smoothie in an original way. If you use coconut yogurt - instead of milk - the smoothie will have a delicious and different touch. Give it a try!